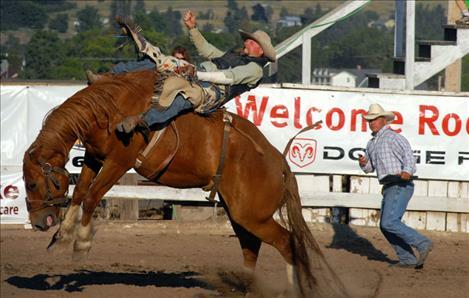 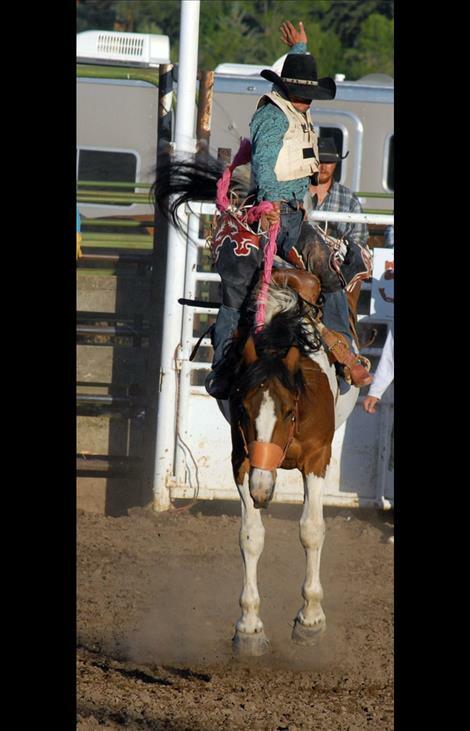 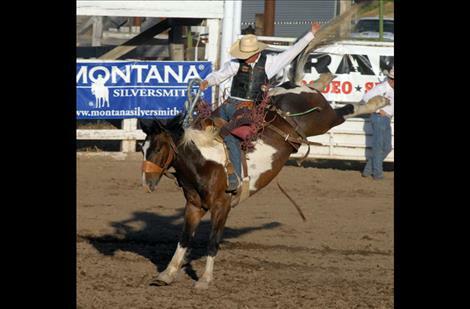 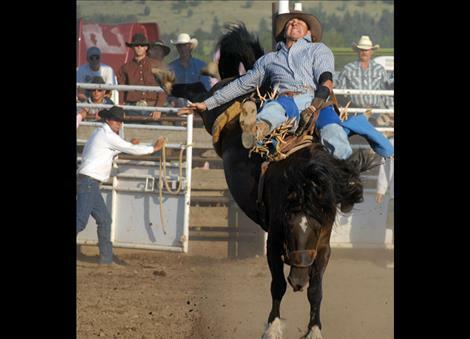 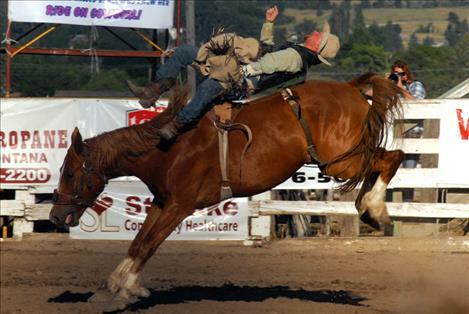 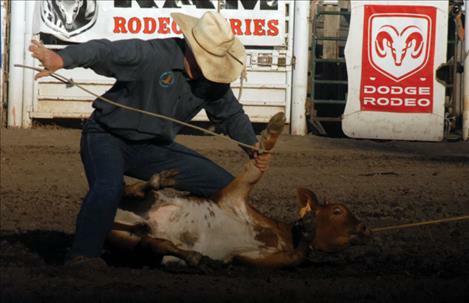 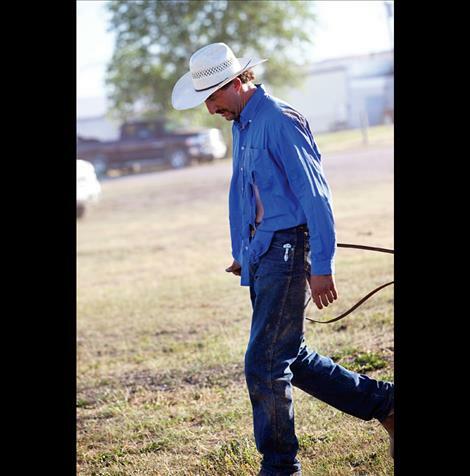 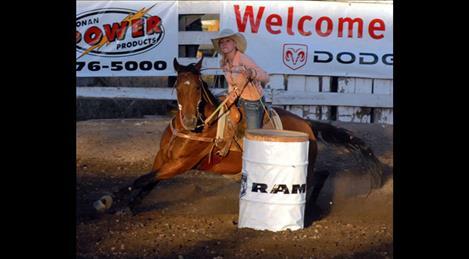 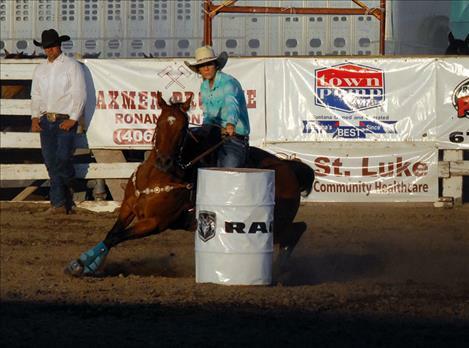 Danny Lien rides a bronc. 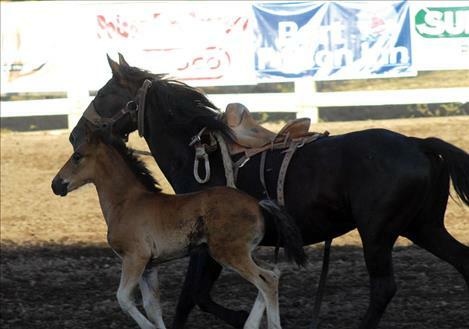 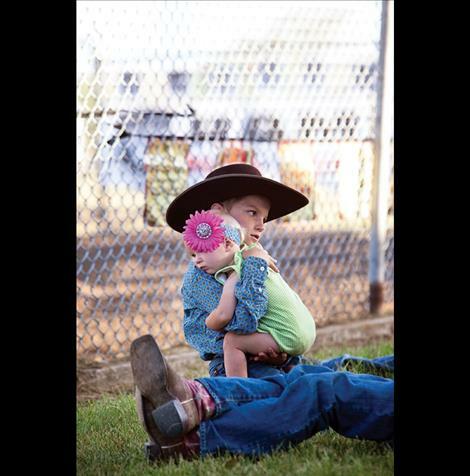 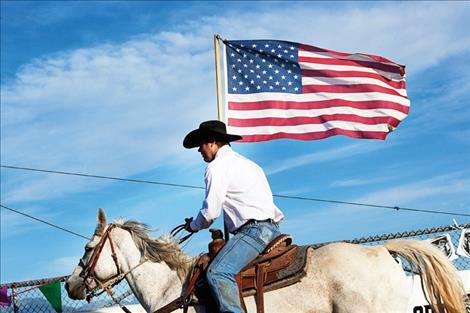 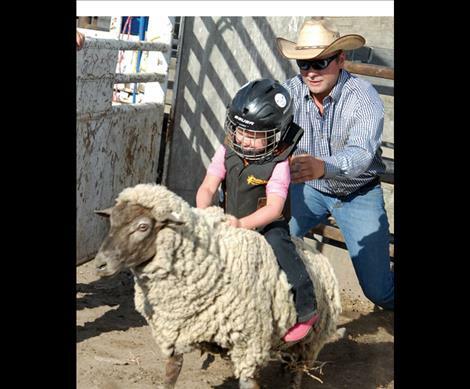 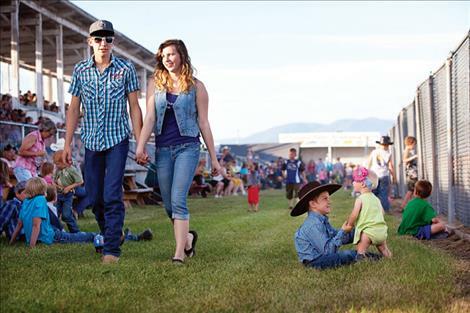 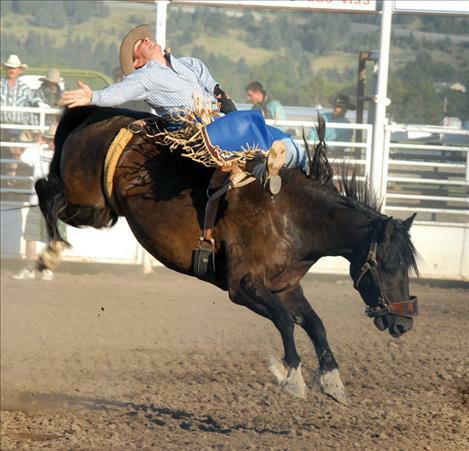 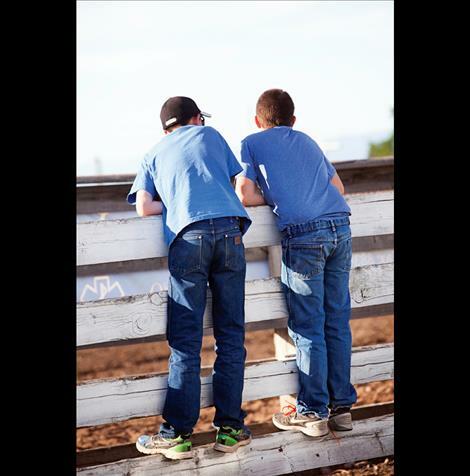 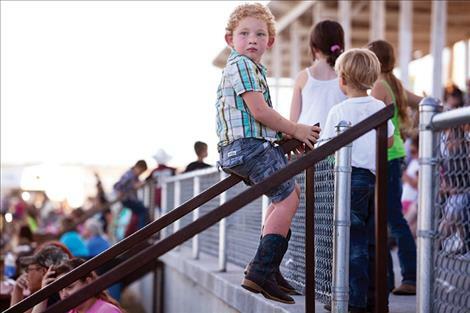 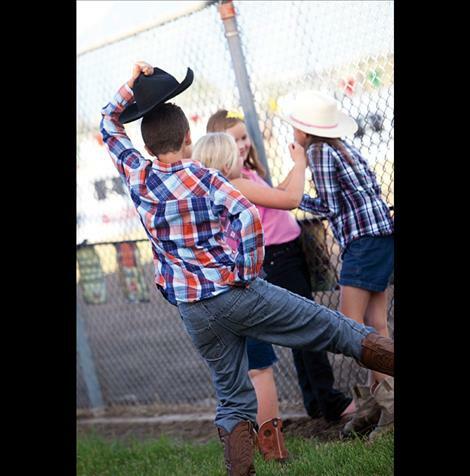 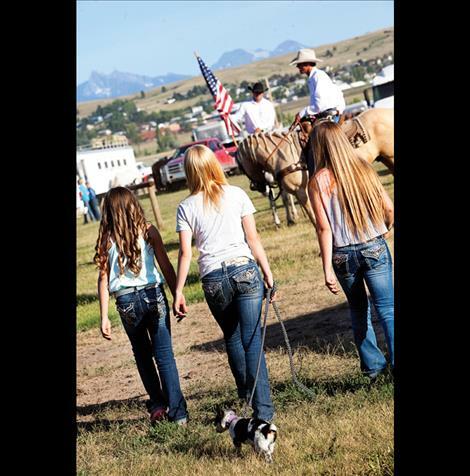 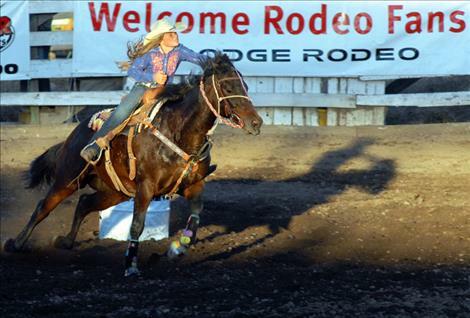 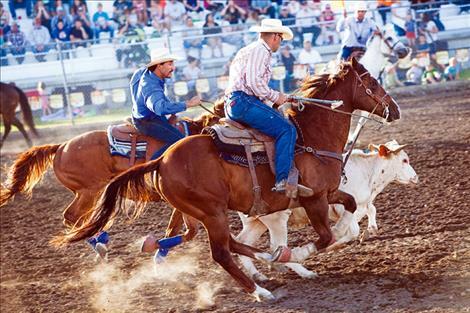 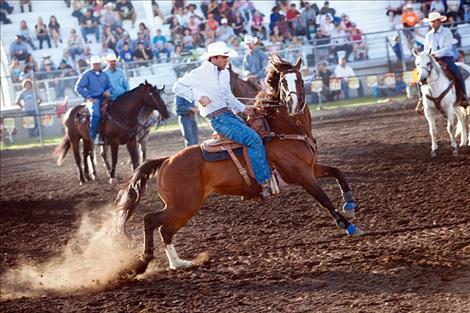 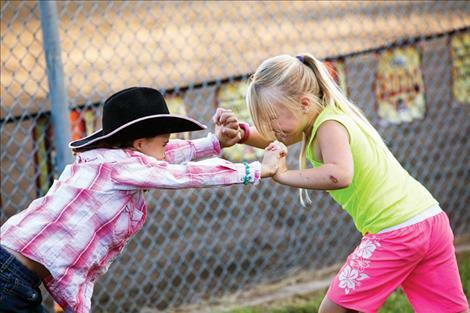 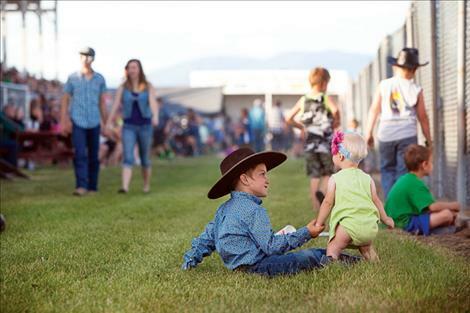 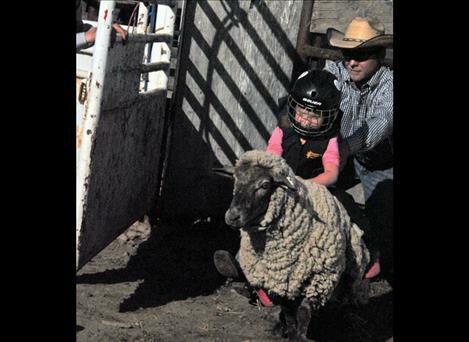 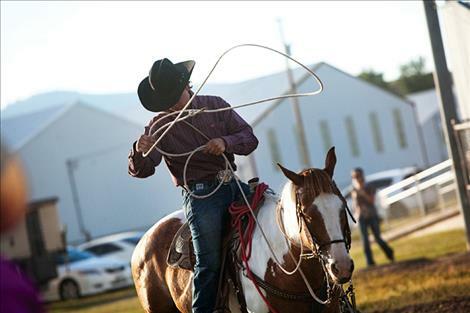 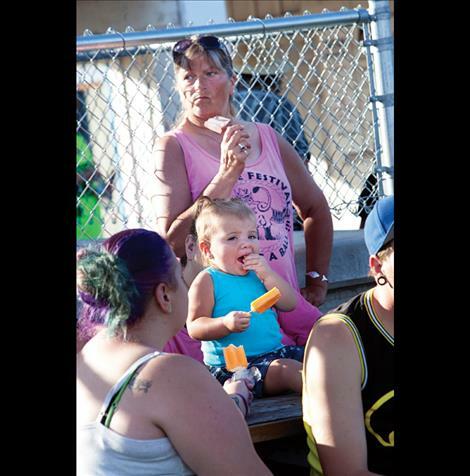 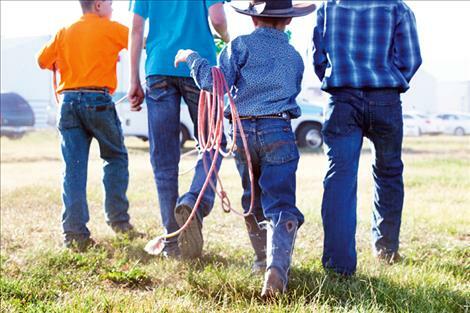 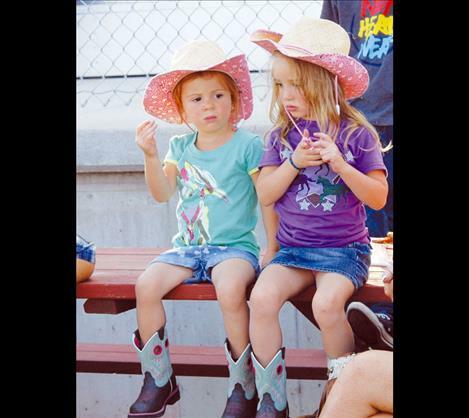 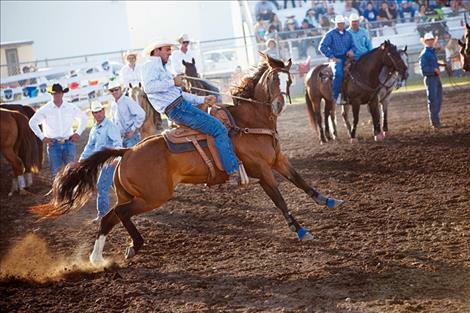 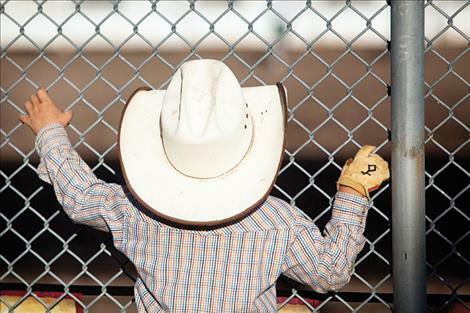 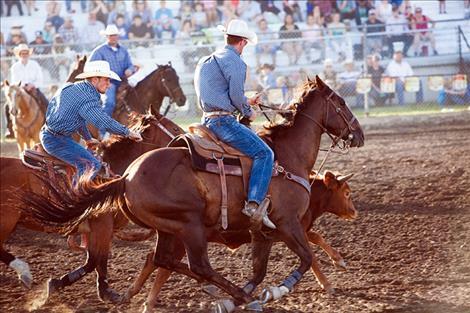 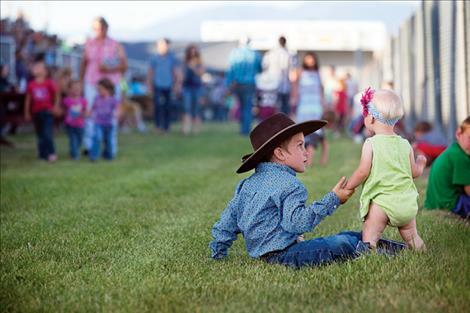 Blaik and Amora McCool enjoy the rodeo. .
For 75 years the Mission Mountain NRA Rodeo has been a part of summer on Flathead Lake, and it didn’t disappoint as it returned to the Polson Fairgrounds Friday and Saturday, June 26-27. 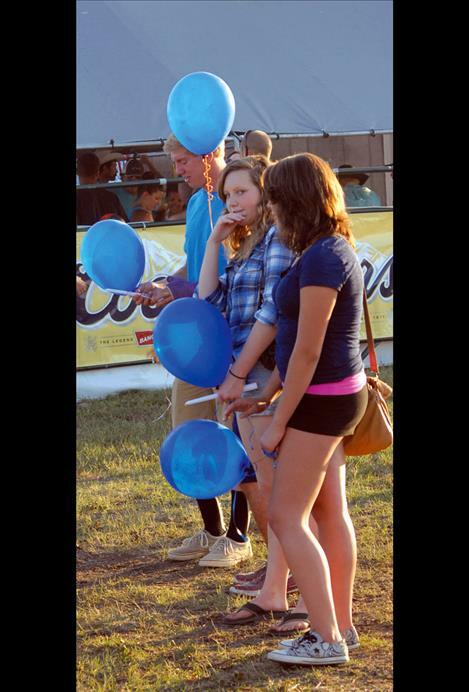 On Saturday night before the rodeo, the community, friends and family of Aunika Corrigan honored her by wearing blue and releasing blue balloons. 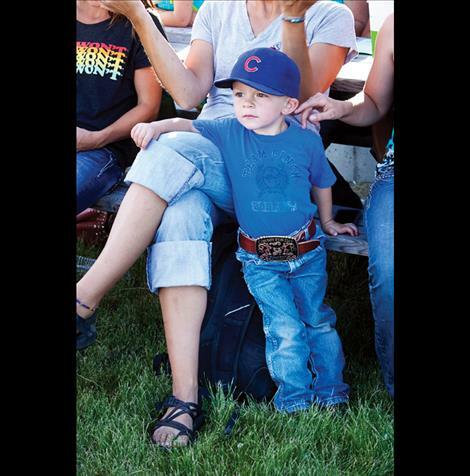 Aunika was killed in what investigators are calling an accidental shooting on June 24. 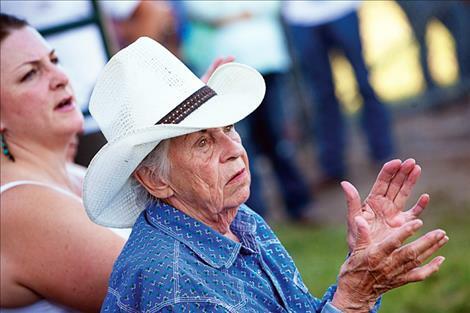 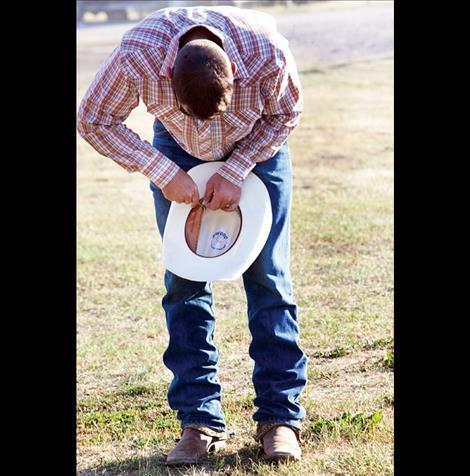 A riderless horse was led around the arena as the community bowed their heads in a moment of silence, remembrance and support for Aunika’s family. 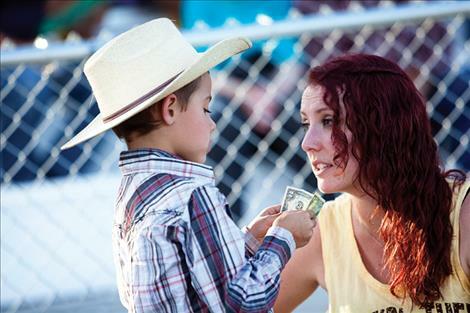 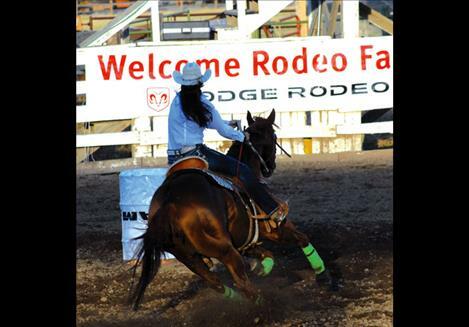 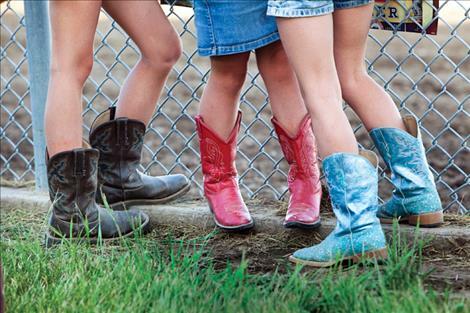 A big rodeo fan, Aunika would have been glad the rodeo went on as planned, according to friends. 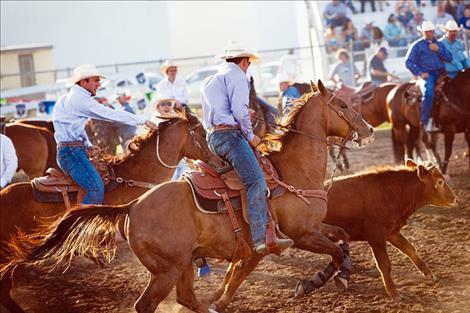 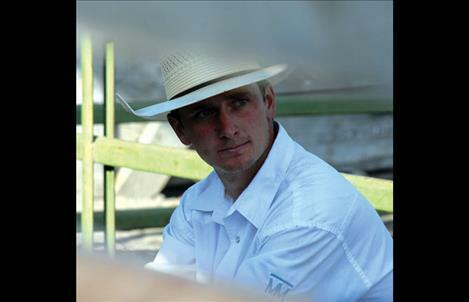 Stock contractor Big Circle Rodeo brought truckloads of bucking horses, bucking bulls and roping steers and calves for the rodeo. 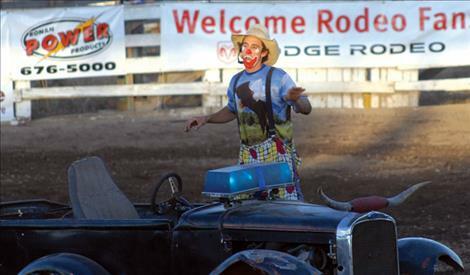 Bullfighters Travis Langan and Sylvan LaCross kept the cowboys safe, and clown Aubrey Smith kept the crowd entertained with his goofy jokes and tricked-out flivver. 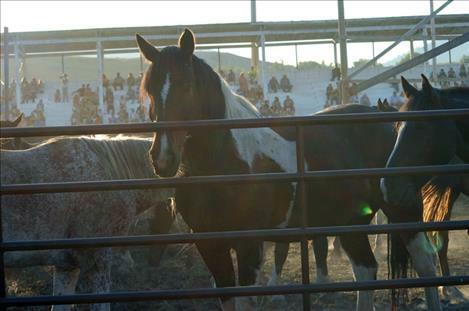 Evening performances kept animals and people out of the worst of the heat although temperatures reached near 100 degrees on Saturday and about the same on Friday. 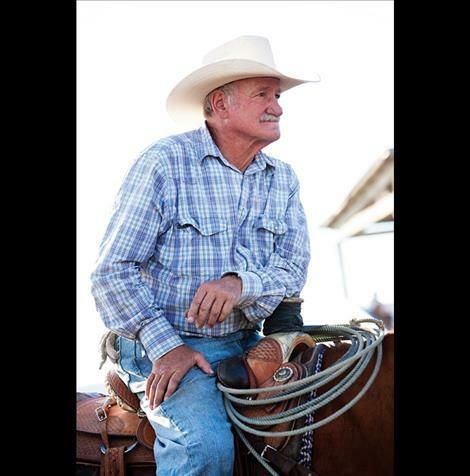 Graham thanked area businesses and individuals who sponsored chute gates, arena banners, events and donated their time or the use of their water truck.